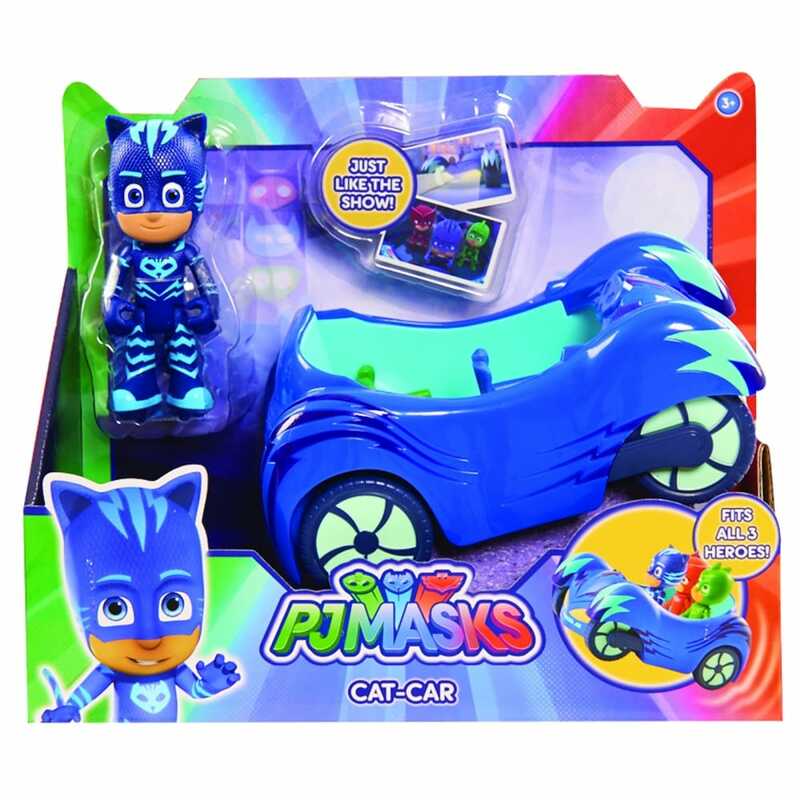 Pounce into action with Cat Boy and his stealthy Cat Car. Each signature vehicle from the show comes with a 3" articulated figure who will sit inside each vehicle can even fit three PJ Masks figures inside. Includes: Cat-Car and Catboy figure.